Nickel-plated brass or hammered copper ‘reversible’ coffee maker produced in France bearing the L.C. brand. It worked by means of the upside-down percolation method and was fed by a spirit-burner at the base of the support. One to eight cup capacity. The most attractive of all reversible coffee makers is known by the names “Potsdam Heater or Boiler” and “Russian Egg”. 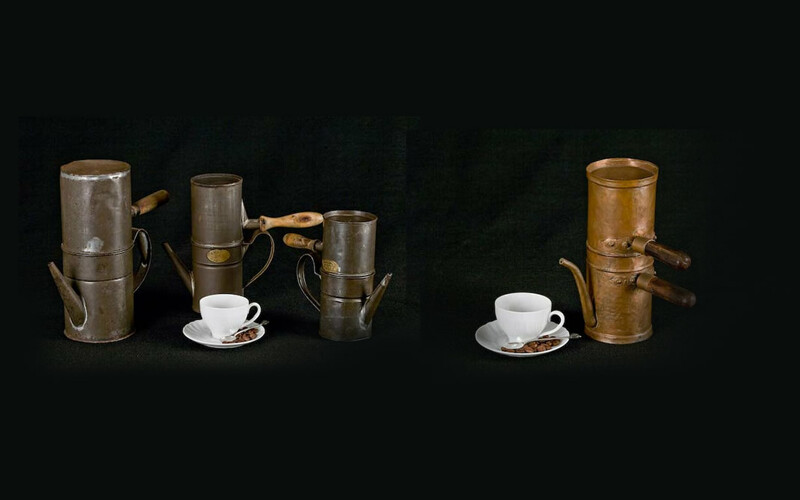 Besides containing the burner at the base, rotating and holding the machine during coffee preparation, the elegantly engraved and decorated support structure was used to carry it to the table and pour the coffee into the cups. The spirit burner also kept the prepared coffee hot. 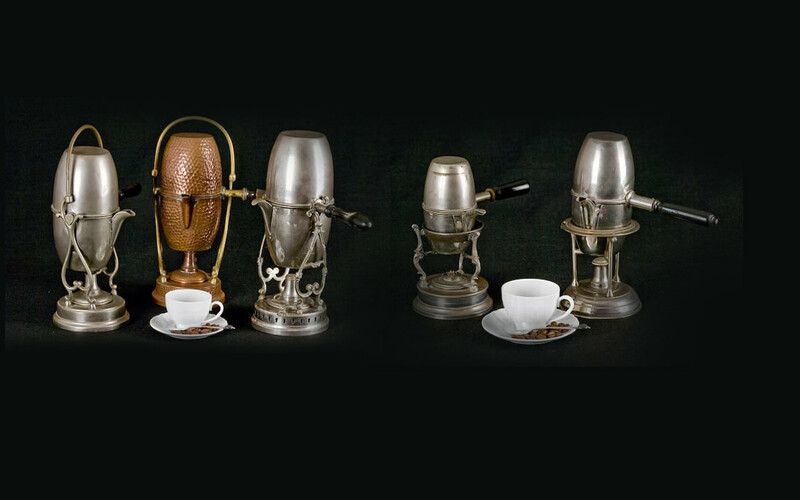 Italian-made stove-top Napoletana coffee maker in tinplate or copper with upside-down percolation operation. Four to eight cup capacity. The Napoletana, produced first in tinplate and then in aluminium, was the most used coffee pot in Italy until the early 50s, when it was replaced by the Moka.